Atlanta Weather – Are the Rumors True? 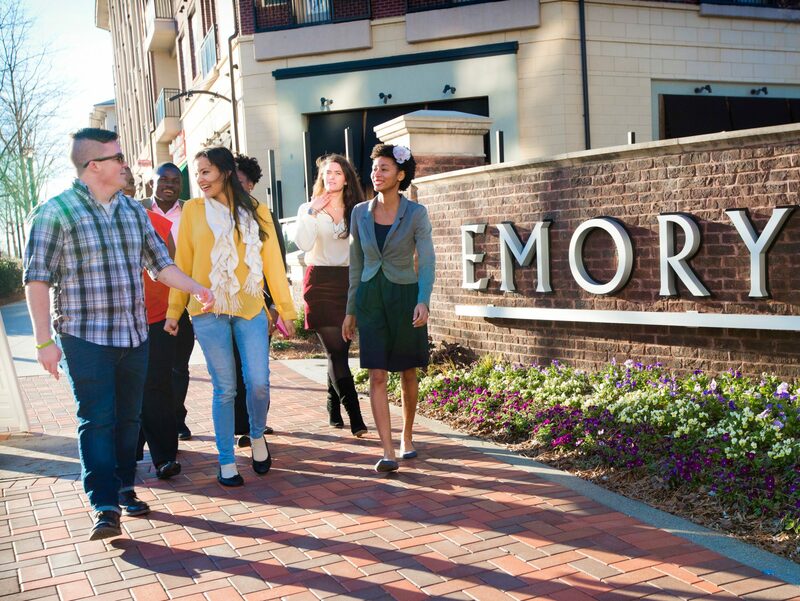 My first-time visiting Emory’s campus was during Visit Emory 2018. It was late March and I had just finished a string of campus visits to various schools in the northeast. Every place had been cold and rainy, and, in my hometown, there was still snow on the ground. Being from the Washington, D.C. area, this was considered normal for that time of year. I remember being home on Wednesday, March 21st, 2018, looking outside my window and seeing all white. The next morning, I was in Atlanta about to begin my Visit Emory journey and I could already tell that this was going to be a different story. The sun, who I hadn’t seen for a couple months now, was actually making an appearance. Not only that, but I didn’t even need a jacket! It was WARM outside! I was blown away. It was the light at the end of the tunnel I had been waiting for. This was only compounded by testimonials from current students at the time, who only had great things to say about the weather. As if the amazing programs and opportunities Rollins offered weren’t enough, how could I say no to sunny skies and warm weather on top of that? I remember standing at the top of the hill at Emory Point after the first day, seeing the sunset and clear sky, and making my decision then and there. Fast forward to my fall semester, where, in the beginning, I was briskly introduced to the Atlanta summer heat and humidity. I learned quickly where the good shade spots were to avoid frying in the sun while waiting for the commuter shuttle, and I developed quite the sandal tan. I was prepared for this, though. I knew this was coming. Atlanta gets hot, everyone knew that. What I wasn’t prepared for, however, was what came at the end of the semester. Midterms came and went, and I was finally adjusting to life in a new city and being a student again. Then suddenly, one day I left the house and felt a sensation I thought I would never have to feel again. I felt…cold. I was betrayed! Blind sighted! I was lied to! See, in the process of me moving down, I had only packed what I thought to be essential items. A winter coat was NOT one of those items. I found myself jacket-less in almost freezing weather, piling on every sweater, scarf and light jacked I owned until I was able to get my hands on a real coat. I resented everyone who conveniently left out the fact that Atlanta does, in fact, get cold sometimes. I held on to that resentment through the beginning of Spring semester, until one day I received an email from my father. The email had no words, just an image attachment. I opened the image and saw….snow. Lots of snow. I immediately felt weight of the anger and bitterness lift off my shoulders because suddenly everything was put into perspective. I realized I would much rather have a little chill here and there than have to deal with that ever again. So now, here I am, in early February, experiencing winter in Atlanta. Even though today it was 37°F, two days ago it was 77°F and beautiful. So, if you see me at Visit Emory and ask me how the weather is in Atlanta, I’ll tell you it gets cold sometimes, but trust me, it’s still pretty wonderful.